What girl doesn’t enjoy having long thick hair? I mean our hair is our crowning glory, right? 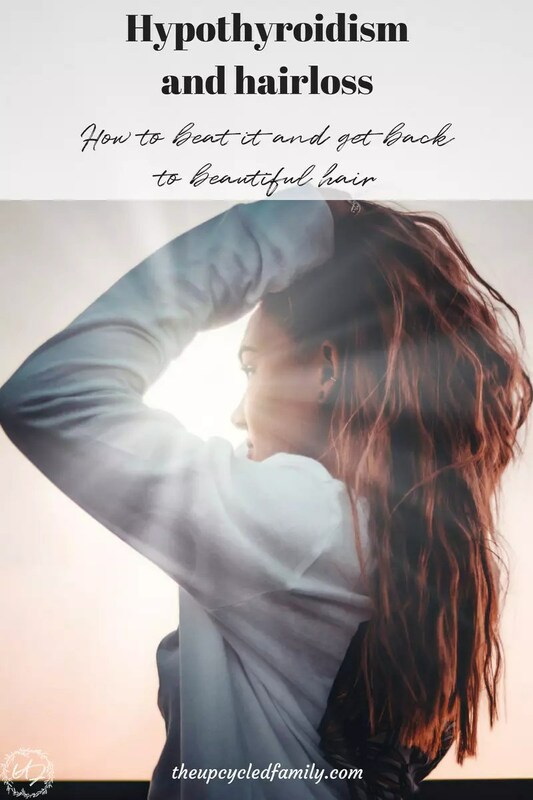 So what if that nasty little thing called hypothyroidism is stealing your beautiful hair? It’s depressing, right? Oh trust me do I know… Having excessive hair loss is one of many thyroid symptoms, but that doesn’t mean we have to like it or accept it. This is a several part series but stick with me. 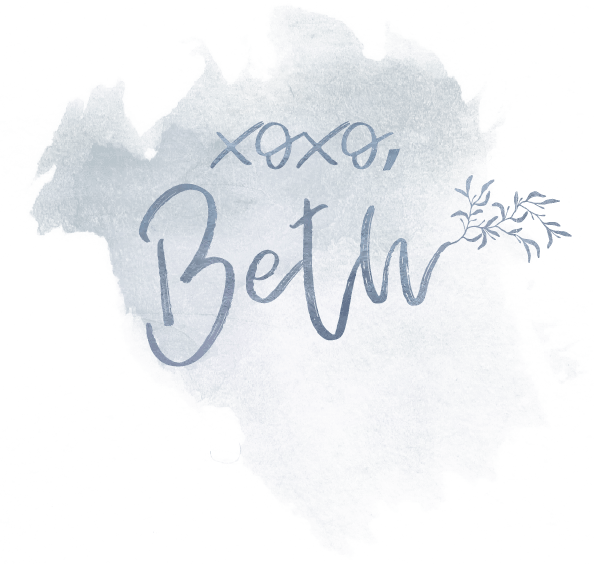 If you have missed the first part of this series read this post here. After getting fed up with hypothyroidism and believing it can be healed (contrary to everything the doctors told me), I made some changes. How are those changes working? Well, I have been off synthetic thyroid hormone for 2 weeks now. I have stuck to the plan that outlined below. Well, so far so good. There are moments that I think my thyroid or that area hurts but this happened on synthetic thyroid hormone as well. The one major difference I have noticed is my hair. Excessive hair loss is one of many problematic thyroid symptoms. To heal my thyroid I also include stress-reducing techniques, vitamins, supplements, herbs, essential oils as well as foods. Herbal Tea with 1 tsp coconut oil. Oral- Take 2 capsules filled with 2 drops each of Frankincense, Myrrh, German Chamomile and clove 1-3 times daily. Topical- 2 drops of myrtle, sandalwood, and peppermint over the thyroid and chest area 1-3 times daily. Apply 8-10 drops of orange oil on the feet once daily massaging into the thyroid vita flex area on the feet. 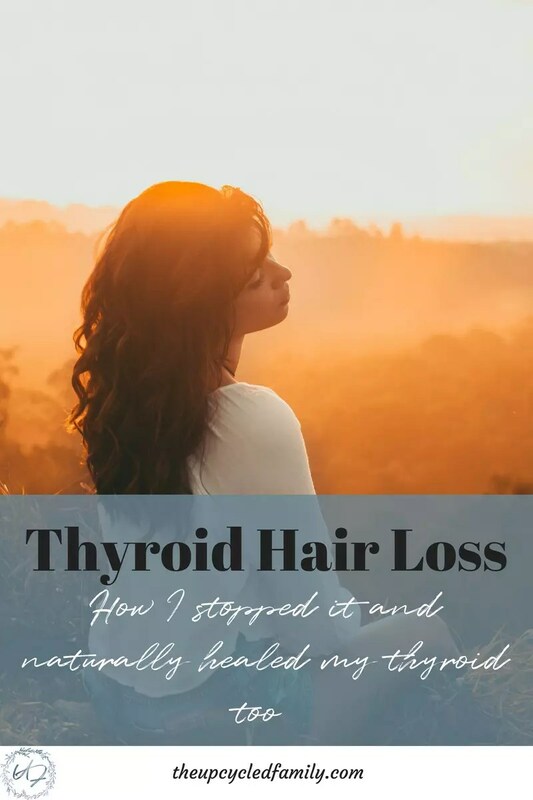 When the thyroid problems started for me, I was losing hair at a massive rate. I do mean massive, I could make a shedding dog envious! 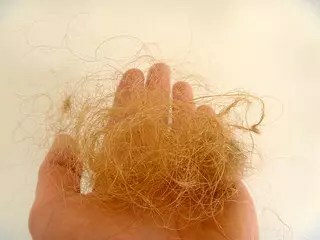 Once it was “under control” with medication the amount of hair loss on a daily basis, dropped dramatically but was still a ton more than normal. So having thick hair saved me during those 2 years, but I had normal hair no longer thick. Since starting my natural routine my hair loss is almost none. A few hairs in the drain seems amazing compared to what it has been for 2+ years now. The shedding hair would get washed stuck to clothes, towels, everything pretty much, and come out as huge hairballs in the dryer, from me! Having less hair loss in itself is great, however, that is only a symptom, not the problem. Keep in mind the real goal it total recovery, complete healing. Not, what I have Doctors tell me, “it just about symptom management”. Symptom management is a decision to stay sick, and that is not the goal I am going for. Keeping my fingers crossed but I think I am on the way to full thyroid recovery! And even though the supplements may seem steep at first, I was looking at regular pharmaceutical medication FOR THE REST OF MY LIFE! That’s a long time folks, and a lot of money so jump-starting my endocrine system with some supplements for a while seems like small beans compared to that. P.S. Looking for ways to jumpstart your health and your thyroid? Join the 5 Days to Better Health Challenge, start kicking hypothyroidism in the rear!